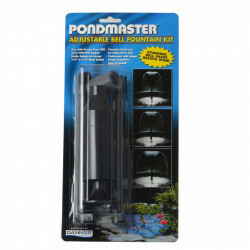 Adding a fountain to your backyard pond or water garden provides numerous benefits, beyond the obvious aesthetic effects. 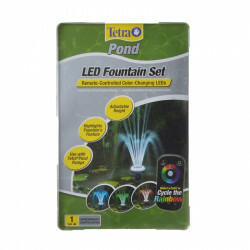 In addition to adding life and the pleasing sound of moving water to your pond, fountains cause increased water movement and turbulence that helps provide healthy aeration to the water. 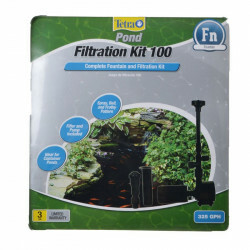 Keeping the water well oxygenated is an essential part of maintaining the health and beauty of your pond fish and plant life. 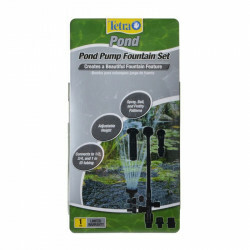 Pet Mountain's Pond Fountain Kit store features top quality fountains and fountain parts from the most trusted names in the pond care industry, including Pondmaster, Beckett, Tetra Pond and more. 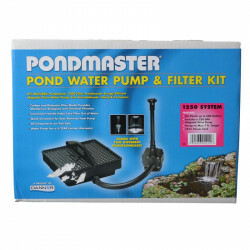 The Pondmaster Garden Pond Filter System Kit combine the easy-to-use PondMaster Filter Box with a high-tech fully submersible Mag-Drive water pump. In this submersible pond filter water is drawn into a coarse filter pad to trap debris, then through a finer, carbon-impregnated pad to further purify the water. 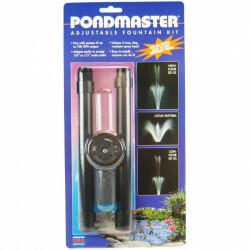 A sturdy handle allows filter to be placed where needed and easily removed for cleaning. 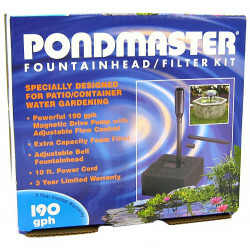 The Pondmaster Pump & Fountain Kit is the ideal candidate for small ponds and water gardens. The energy efficient Mag Drive pump comes with a 10 foot power cord and simple maintenance. 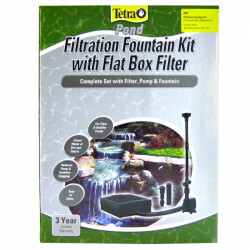 The Tetra Pond Filtration Fountain Kit with Flat Box Filter is ideal for small pre-formed ponds. 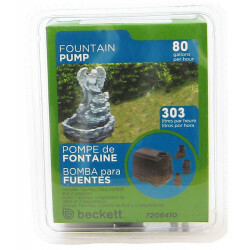 Use a Tetra Pond Complete Filtration Fountain to create a charming pond or water garden feature for your front yard or backyard.